09.13.17 :: Categories: Safeguard Drinking Water. News Types: Press Releases. OSSINING — Seven municipalities have joined Riverkeeper in a campaign to protect the drinking water supply for more than 100,000 people – the Hudson River Estuary. The seven municipalities — The City and Town of Poughkeepsie, Town of Hyde Park, Village and Town of Rhinebeck, Town of Lloyd and Town of Esopus – began meeting for the first time this summer to focus on their shared drinking water source. Five water treatment plants along the Hudson serve populations in the seven municipalities. Share information about operations and other common issues. Riverkeeper created the Drinking Source Water Protection Scorecard following the City of Newburgh’s drinking water crisis to empower communities to become effective advocates for the protection of the sources of public drinking water supplies. The Scorecard provides baseline information about the protections in place for water supplies, and identifies steps for improving essential protections through strategies such as hazard assessments, local land use decisionmaking, stream and wetlands regulation and open space preservation. 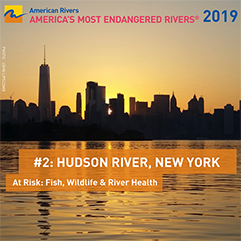 To complete the Scorecard for these seven Hudson River communities, Riverkeeper has contracted with the Center for Watershed Protection, a national leader in the development and implementation of effective stormwater and watershed management practices. 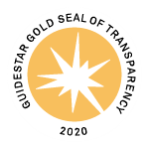 It is anticipated that the results will help to make these municipalities more competitive for grants and other support associated with the historic $2.5 billion Clean Water Infrastructure Act, which will provide multi-year funding for relevant projects, including $1 billion for clean water infrastructure and over $100 million for a new source water protection land conservation program. While the effort to protect and restore the Hudson River has been ongoing for years, many are unaware that the mid-Hudson is a source of drinking water. Earlier this summer, Riverkeeper and Mill House Brewing Co. brought public attention to the fact that more than 100,000 people rely on drinking water from the Hudson by brewing a special beer, Ship Rocked IPA.